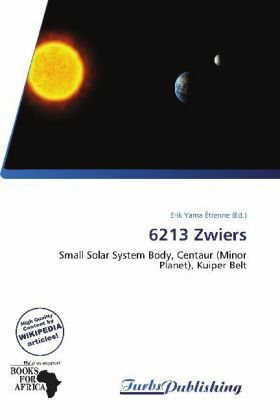 6213 Zwiers (2196 P-L) is a main-belt asteroid discovered on September 24, 1960 by Cornelis Johannes van Houten, Ingrid van Houten-Groeneveld and Tom Gehrels at Palomar Observatory. Asteroids (from Greek 'star' and 'like, in form') are a class of small Solar System bodies in orbit around the Sun. They have also been called planetoids, especially the larger ones. These terms have historically been applied to any astronomical object orbiting the Sun that did not show the disk of a planet and was not observed to have the characteristics of an active comet, but as small objects in the outer Solar System were discovered, their volatile-based surfaces were found to more closely resemble comets, and so were often distinguished from traditional asteroids.